A remote notification, also called a push notification, arrives from outside the device. 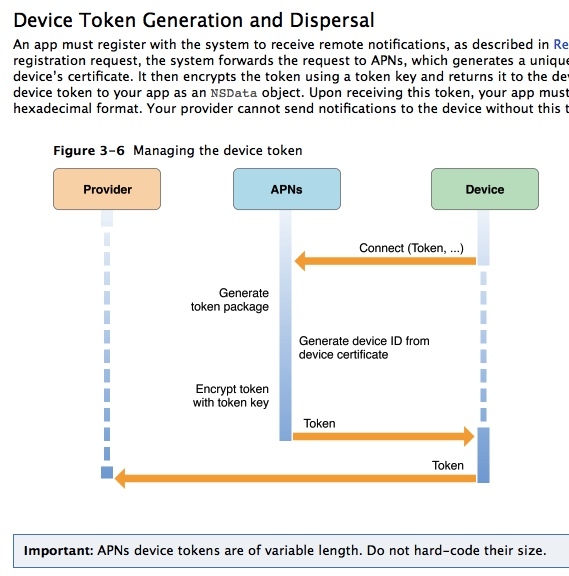 It originates on a remote server that you manage—the app’s notification provider—and is pushed to your app on a user’s device via the Apple Push Notification service (APNs). 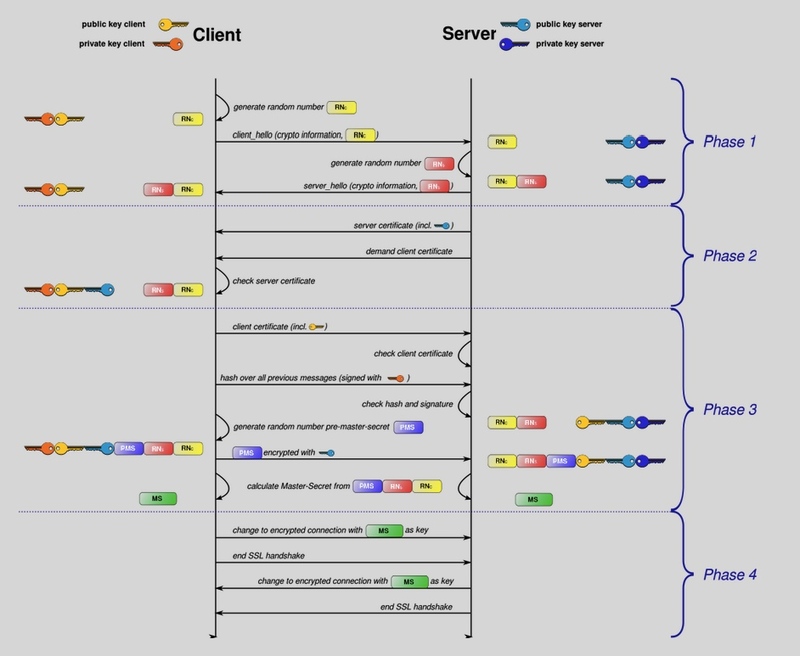 APNs uses a persistent IP connection for implementing remote notifications. Apple Push Notification service (APNs) propagates remote notifications to devices having apps registered to receive those notifications. Each app on a device establishes an accredited and encrypted IP connection with the service and receives notifications over this persistent connection. 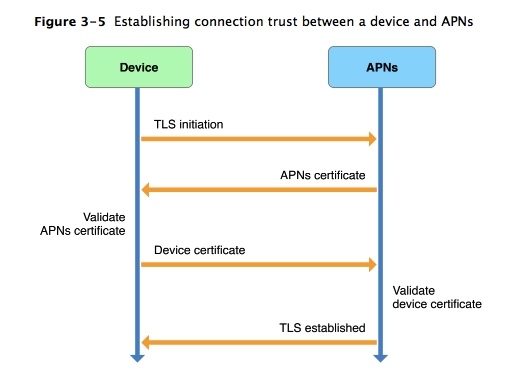 With a TLS connection established between the device and APNs, APNs can then provide an app-specific device token to each app that registers for remote notifications. PEM - Privacy Enhanced Mail,打开看文本格式,以”—–BEGIN…”开头, “—–END…”结尾,内容是BASE64编码. See RFC 7292. Defines a file format commonly used to store private keys with accompanying public key certificates, protected with a password-based symmetric key. PFX is a predecessor to PKCS #12. This container format can contain multiple embedded objects, such as multiple certificates. Usually protected/encrypted with a password. Usable as a format for the Java key store and to establish client authentication certificates in Mozilla Firefox. Usable by Apache Tomcat. 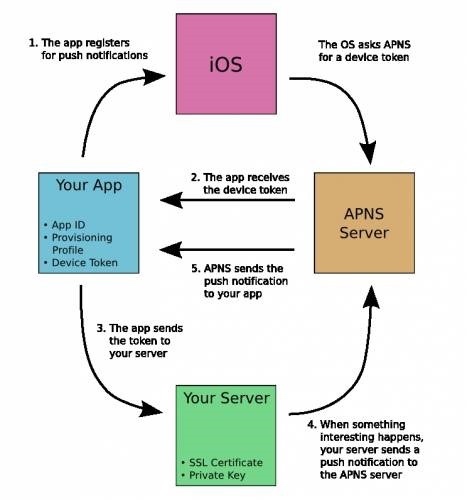 Trust between APNs and each device is established automatically by iOS upon initial device activation (and without participation by your app), as described in this section. // man pkcs12 可知-nocerts 即 no certificates at all will be output.